CrossWalk Center is guided by a 100% volunteer Board of Directors and Board of Advisors, and compensated Executive Staff. Nath graduated from University of Kentucky with a Chemical Engineering degree in 2003 and has an MBA from the University of Texas at Austin. 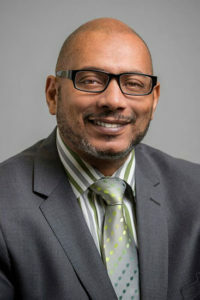 He has worked in the Downstream Oil & Gas industry since graduation, currently helping to lead both Refined Technologies, Inc., and Southern Brush Pipeline Services as Sr.VP and President respectively. 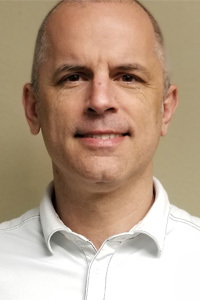 He serves on the Advisory Board of the National Christian Foundation, served on the strategic planning committee of First Presbyterian Church as well as the young adult community at FPC. Cody and his family recently moved to The Woodlands and attend WoodsEdge Community Church, The Woodlands. He and his wife, Christine, have two children. 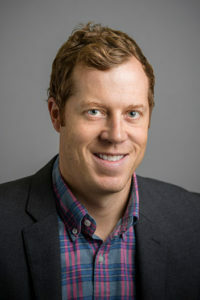 Horton earned a Bachelor of Business Administration in Finance from Texas A&M University in 2002, and a MBA from the Acton School of Business in 2014. In 2011, Graham was the youngest recipient to be awarded the prestigious NAIOP Broker of the Year Award, which honors individual production, community service, professionalism, and leadership in Houston and the Commercial Real Estate industry. He currently works at CBRE where he is a Senior Vice President in their Houston office. He also serves on the development board of Houston Pregnancy Help Centers and was a founding board member at Ananias House, which helped establish the original charter that led to mission trips to Syria and Turkey to help equip and serve the local persecuted church. Graham is a member of City Church, a new urban church plant in downtown Houston. He and his wife, Lindsay, have four children. 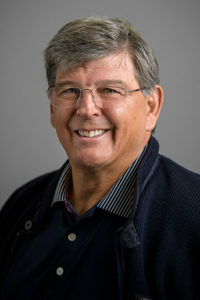 Robertson received a Bachelor of Science from Cornell University in 1972 and a MBA from the College of William and Mary in 1974. He has thirty years of experience overseeing institutional and retail investment management including roles as Senior Portfolio Manager, Chief Investment Officer and President. 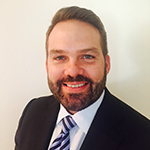 Fred currently serves on the Boards of Allegiance Bank Texas, Texas Presbyterian Foundation, Main Street Ministries, Texas Theological Foundation, Camp Blessing, and on the investment committee of The Greater Houston Community Foundation. Fred is a member of First Presbyterian Church where he has served as an elder and as the chairman of several committees and ministry teams. He and his wife, Sara, have two grown children. Gentempo is an ordained minister through The Assemblies of God International Fellowship and Board Certified Restorative Therapist through Faith Based Counselors Training Institute. He serves as President & Executive Director of His Father’s Heart Ministries, 501c3 serving marginalized communities in the greater Houston region, specifically ex-offenders and their families. Prior to HFHM, Joey served as Program Director for the Inner Change Freedom Initiative Program in the Carol Vance Unit, Richmond, Texas. In addition, he worked eight years as a civilian jailer for the Harris County Sheriff’s Department, and was a missionary in northwestern England. Joey serves as pastor for the Church at His Father’s Heart Ministries. He and his wife, Denise, have three grown children. Stephen Foster has worked in the oil & gas industry for over 35 years. He has taught Sunday school for children and young teens for almost 30 years. When he lived in Louisiana, he coordinated an inner-city ministry for children living in the B.W. Cooper housing project located in New Orleans for 10 years until he moved to Texas. He coached his children's sports teams from ages 6 to 14 for many years. He recently began volunteering at Love Fosters Hope to start mentoring young teens in foster care. He is on the board for Psalm 68five Ministry whose mission is to help change the trajectory of fatherless kids by providing opportunities to go to Christian Summer camps where they learn to understand and accept the special relationship promised to them by God the Father (Psalm 68:5). He has been involved in prison ministry for the last 3 years, including Kairos, Jubilee, & mentoring. It was while he was mentoring ex-inmates upon their release that he realized how difficult it was for them to become a productive member of society and not go back to prison. It was his realization of the lack of adequate ministries & resources for this purpose that led him to CrossWalk Center. 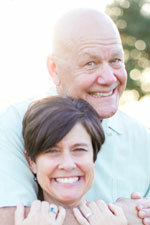 Steve and his wife, Sharon, live in The Woodlands, Texas, and have four grown children and three grandchildren. They attend Faith Bible Church in The Woodlands. James ‘Jim’ Austin has worked as a CPA, CFO and management consultant for over 35 years and is serving on both the Finance and Discipleship Homes committees for CrossWalk Center. Yet, Jim is extremely passionate and dedicated to finding sustainable re-entry solutions that permanently change people’s lives for the better when it comes to incarceration and re-entry. Jim first began inside the Texas Department of Criminal Justice as a one-on-one mentor at the Eastham unit - that was 23 years ago. Since that time, he has served with Kairos of Texas Prison Ministry, sharing the love and forgiveness of Jesus Christ. He is also co-founder of Jubilee Prison Ministry, a ‘fourth-day’ program designed to engage TDCJ State Jail inmates in what is hoped to be a life-changing encounter with Jesus Christ. On a personal level, Jim has coached several men through the re-entry journey into the community and has experienced all the barriers and pitfalls that come with having a felony record. He was a volunteer and board member with 2 other Houston re-entry organizations and brings a wealth of practical experience on what works … and doesn’t work … when working with ex-offenders. Because of those experiences, Jim joined the CrossWalk Center board to help permanently change the trajectory of re-entry processes both inside and outside the walls in-order-to reduce recidivism rates for the region’s returning citizens. Jim and his wife, Robyn, live in The Woodlands, Texas, and have three grown children. They attend The Woodlands United Methodist Church. 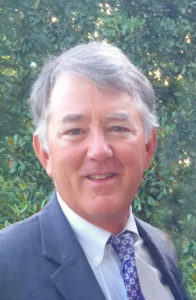 Vosburg received a Bachelor of Science from Arkansas State University in 1979, an Associates from the Art Institute of Houston and MBA CE Executive hours in Strategic Marketing from Rice University. 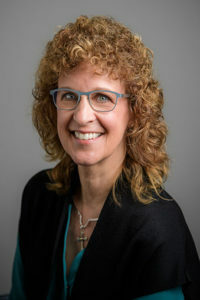 Kathy has thirty years of experience overseeing marketing and communication teams in the profit and non-profit sectors, as well as driving the startup of several for profit service companies. Through private business Kathy has hired and mentored ex-offenders, as well as privately provided long-term housing and education. She serves on the Board of Directors for His Father’s Heart Ministries, and was a founding Board Member for the Organic Horticulture Benefits Alliance, and the Women’s Sport Fishing Foundation. She is also an alumni of Mission Houston: Faith Walking, completed Ministry Team Training at Calvary Community Church, and has served in the mission field in Mexico and the Dominican Republic. She is bilingual English and Spanish. Kathy attends Calvary Community Church, Copperfield, where she has served on the Youth Ministry Council, has co-lead high school Encounters, and has traveled abroad on mission trips with the youth. 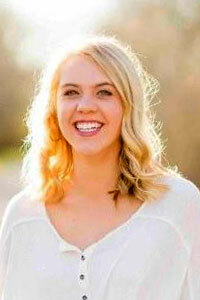 She and her husband, Dennis Miller, have four daughters. Pastor Charles Anderson is a native of Alexandria, Louisiana. During his service in the U. S. Army at Fort Polk in Leesville, Louisiana, he answered the call to preach at the age of twenty-three. In 1990, Pastor Anderson was licensed and ordained to preach the Gospel at Greater New Hope Baptist Church in Alexandria, Louisiana, under the leadership of Senior Pastor Reverend Simm James. Charles studied Human Behavior at Leal College and Graduate School, St. Ann, Missouri. Over the years he has pastored and lead several congregations: New Life Church, World Conquerors Baptist Church, and Good News Baptist Church all in the ‘Show Me State’ of Missouri. Pastor Anderson served 10 years in the U. S. Army. He was honorably discharged in 1992 and went on to pursue a career in corrections. With over 15 years’ experience working in corrections in Illinois, Missouri, and Texas, Charles developed a heart and compassion for the literal and figurative captives inside the prison walls. In recent years, he has committed himself to teaching weekly Transformation Bible Study Classes inside Texas Department of Criminal Justice. From this experience Charles launched The Urban Ministry Institute -Houston and implemented TUMI classes inside TDCJ for the modern day Onesiumus’s of our time, the runaway slave that the Apostle Paul speaks of in the Book of Philemon. Charles is especially committed to the lives of those behind bars and their families, so that they may come to understand they’ve been bought for a price, their lives are not their own, and they are here to accomplish His work – for God’s Kingdom purposes. His obedient servant-hood to those still incarcerated, is that these people have eternal value, the can proclaim the Gospel in Word and deed if disciple and taught, equipping them to be “useful” in serving God through serving others. Pastor Anderson carries a deep and profound conviction that his life is meant to be laid down fully in order to lead, shepherd, disciple and equip the saints to do battle, taking territory from Satan, in this broken world. To do so, God has prepared Charles throughout his life, for such a time as this. 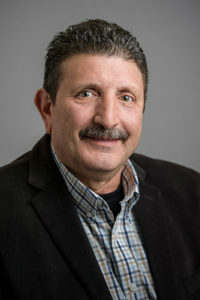 Garay graduated from the University of Houston in 2014, earning two Bachelor’s degrees in Communications/Media Production and English Literature. Andreina brings a broad knowledge base to the CrossWalk Center through research, creative, business and news writing; copyediting, CMS/HTML, pre-production, photography and an all around aptitude for technology. 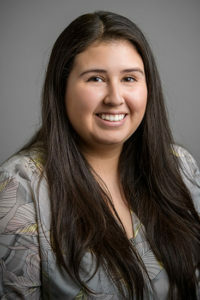 She has served in the nonprofit arena for the Washington Poison Center, Seattle, Washington as an administrative assistant, and in education at the University of Houston as both communications assistant and customer service representative. Like most all Millennials she is highly proficient with most all social media outlets, engagement platforms and survey tools as they relate to communications and marketing. Andreina is bilingual in both English and Spanish. Bonem graduated from Baylor University in 2016 with her Bachelor’s of Business Administration in Marketing and a minor in Religion. Prior to joining CrossWalk Center, Kellie served at Star of Hope Mission on the Volunteer Services team where she managed thousands of volunteers and focused on identifying volunteer opportunities, scheduling and coordinating volunteer projects and leading volunteer orientations. Kellie is a Nashville native but has lived in Houston since 2016 and is passionate about furthering the Kingdom in the city of Houston and beyond. During her time in Houston, Kellie has developed deep ties to the community through her work as a Bellaire Younglife leader and a volunteer mentor with Rescue Houston. Kellie and her husband, Jon, attend Seven Mile Road, where they enjoy volunteering in the children's ministry and are active participants in their house church. God began training Jim in personal disciple-making through two men just after he came to faith in 1996. Because of the impact of these two men, David Glenn and Mark Collins, Jim has sought to invest in people one person, one step, one issue at a time. Along the way God sent Jim to seminary and to pastoring. He is the current pastor of CORE Church Houston and the founder of Trexo, a ministry dedicated to training disciples to multiply disciples. He has been married to Brooke since 2001 and has two beautiful children, Collin and Claire.